Scott Shoyer is one of the many men looking to front the zombie charge. 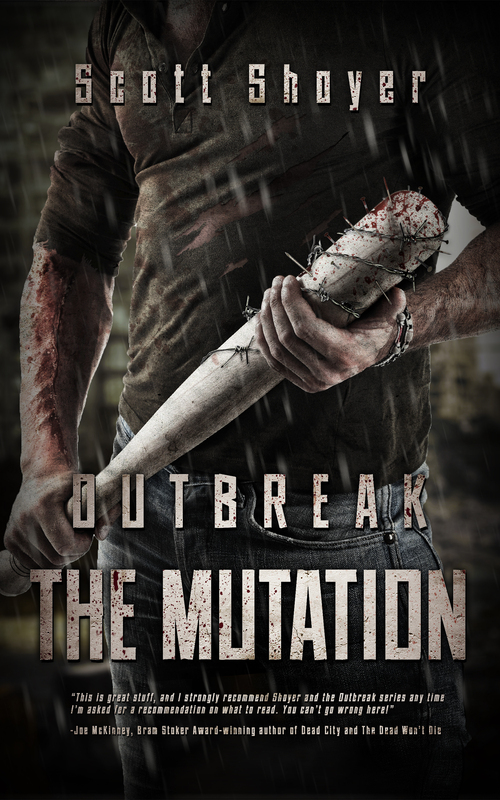 His Outbreak trilogy has already turned more than a single head, and he’s looking to keep that attention coming with the release of Outbreak: The Mutation Volume 2, which you can pick up right here. We’ve got a little bit of information from the press release for you below, but we’ve also got a nice excerpt that should catch the eye of the zombie obsessed! Read on for your undead fix. Synopsis: Zombies have overrun the world making human beings an endangered species. The zombies are getting stronger, smarter, and deadlier. The remaining human survivors are finding it more and more difficult to fight them off. Amidst this apocalyptic war, two separate groups of survivors are drawn to the small, seemingly dead town of Spicewood, Texas—but for very different reasons. There is Walt and his group of ex-addicts, and Wilder and Butsko, two of the only characters who made it out of The Hunger alive. Each group believes that what lies in Spicewood, Texas could alter the course of the war with the dead. But what they couldn’t know is that what also lies in Spicewood, Texas might be the source of the outbreak itself and the very end to all life on earth. The first OUTBREAK book was amazing!